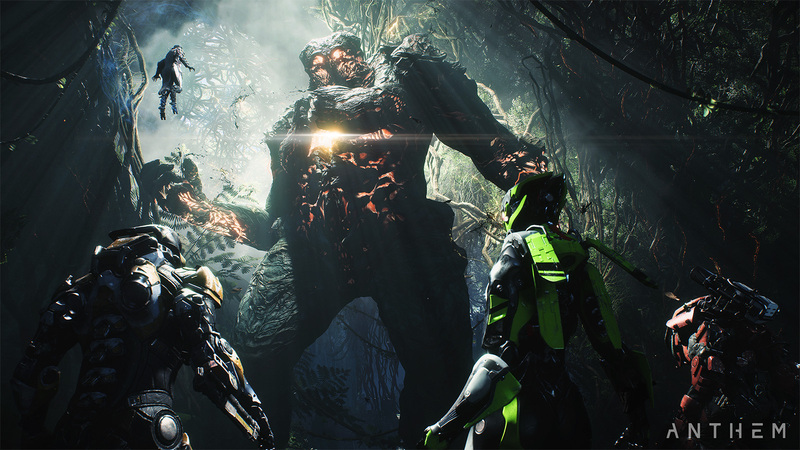 Strongholds are a special feature of Anthem, and this guide will detail them in full. Strongholds are a big feature of Anthem, and it's an activity type that you'll find yourself returning to a fair few times over the course of the game. In this Anthem Strongholds guide, we'll be walking you through everything there is to know about Strongholds, before you tackle them head on. But if you instead need any additional information on BioWare’s upcoming game, you’ll want to head over to our Anthem guides hub. Here you can find all the details on the story of the game that you’ll need to know before you delve in, as well as all the details you’ll need on all four Javelin exosuit classes available. So, what are Strongholds in Anthem? Strongholds are linear mission types in Anthem, which you’ll enter with either a pre-made team of up to three other players, or you’ll matchmake into a team of four. Basically speaking, you’re going to be working your way through a series of enemies and encounters in a Stronghold, to reach the climactic boss fight waiting for you and your team at the very end. In the video gameplay just below, the Stronghold encounter begins with the team of three assaulting a group of powerful enemy machine gun turrets. This particular Stronghold takes place in the “Temple of the Scar.” The team begins by securing the entrance to the “Nest”, before moving further in to find the Scar itself, which we can only assume is the final boss encounter of the entire Stronghold, because unfortunately the team at BioWare don’t show the whole mission. It certainly seems like you’ll be undertaking these Stronghold missions in two ways in Anthem. Firstly, you’re going to encounter them as you progress through the main story of the game, as is the case with this Temple of the Scar Stronghold. Or, you can undertake Strongholds as part of the end game for Anthem. There are plenty of instances in the gameplay with some pretty powerful loot drops, so we can safely assume that Strongholds will play a pretty central role in the grind of Anthem. For now, this is everything that we know about undertaking Strongholds in Anthem. Now that we’re all done here, you can continue ahead to our Anthem Ranger Javelin guide, or our Anthem PC system requirements guide.